Father Christmas visits can be booked for weekends in December and every day between Thursday 20 and Sunday 23 December 2018. Families who have paid admission to Groombridge Place in advance online can also pre-book to see Father Christmas in his delightful grotto. Each child will receive a gift. 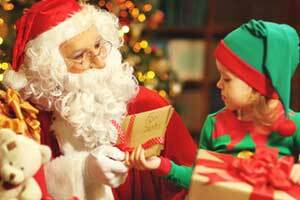 Visits to see Father Christmas are £11.95 per child. Adults free with a paying child.